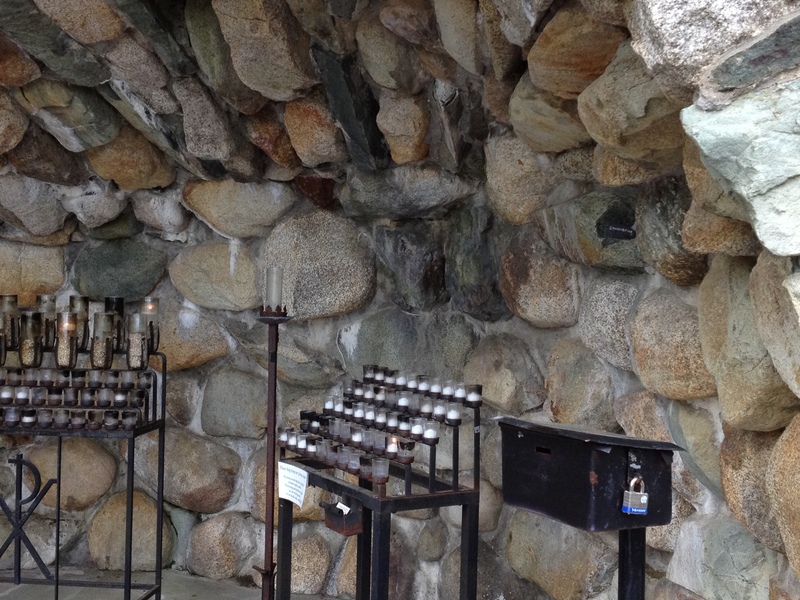 I stopped in, as I sometimes do on a Wednesday, to the grotto at Stonehill to say a few prayers. I have been so much in need of direction lately, feeling a change that is in process but which I cannot yet see. It feels like a pulling or stretching, and it’s uncomfortable and exhausting, and I wish I had my mother to talk me through. In her place, I sometimes seek out Mary or my Holy Cross brothers who are buried nearby. I need all the help I can get. Today, I noticed a dark purple stone placed in a hollow of the rock. 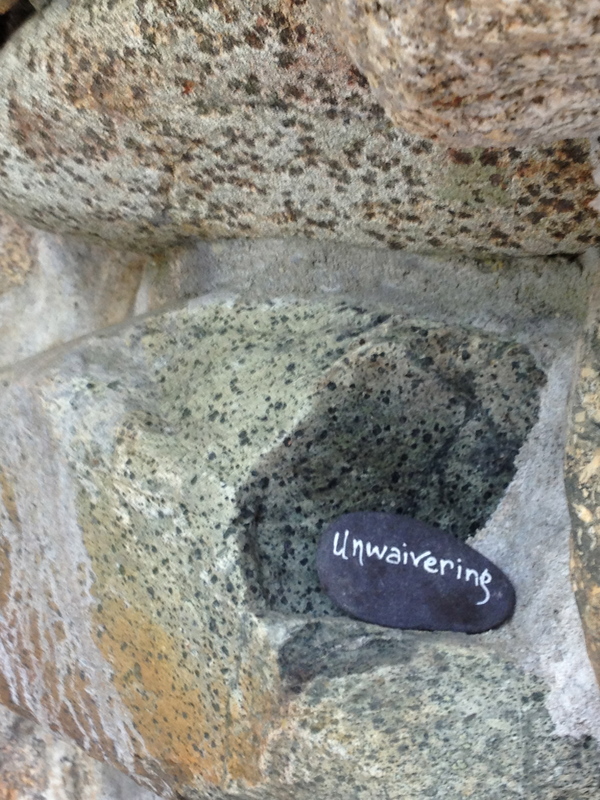 In white letters, it said, ‘Unwaivering’, and it piqued my interest because of the sentiment, because I’d never seen it before, and because the misspelling bugged me in a way I wish it didn’t. Obviously, some kind soul was directed toward this act of piety and service for a reason. Maybe it was for me. These days, I feel somehow in a despair free fall, and I needed something steady. I needed to know that God has a plan for my life. I needed to remember that I am not in charge, and that the One who is, is capable, loves me, and has got me and mine. That was probably the message of this stone for me, today, this unwavering, unchanging love of God. Because although I waver, fear, tire, and despair, He never does. If my primary identity is as a child of the King, I really will be just fine. So just like I wish I could with that stone today, I’m going to try to take the ‘i’ out, trust Him more, and rest as a beloved daughter would.